The glittery, pine-scented living room of my childhood, created by our yearly trek to the tree farm, where my cold and tired parents would have to chop down a blue spruce or evergreen and tie it to the roof; the years where I begged to open presents early, when we’d unwrap gifts on Christmas Eve mainly to satisfy my impatient pleading; the school programs; the church choirs; Grandma’s cookies; the attention given to a cold and dark manger scene, away from tinsel and sparkling lights. To me, these reflections are perfect holiday magic: less glitz and glam, more depth and reality. As a child, I remember thinking that life couldn’t get much better than this. And, as good as things seemed then, I was wrong: they have gotten better, year after year. And the older I get, the more I want to carry on my grandma’s tradition of baking cookies. 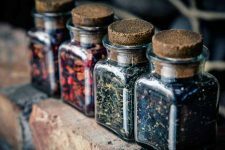 But I also want to start new traditions, like giving even more homemade gifts. 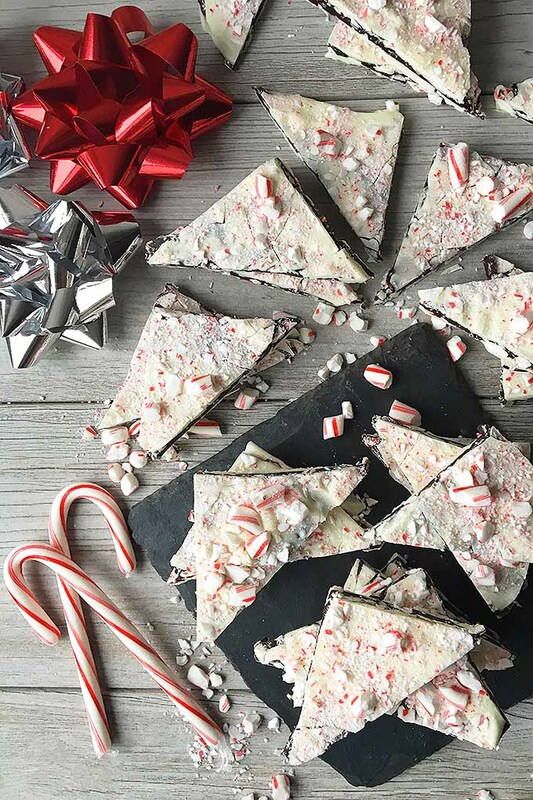 Gourmet peppermint bark, made right at home. One would be hard-pressed to find anything quite as festive. 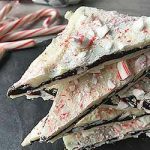 It’s flecked with crunchy and refreshing red-and-white peppermint candies, set in white chocolate and sandwiches around layers of rich mint chocolate. 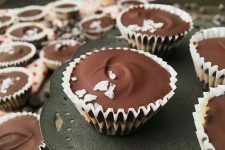 This is the kind of gourmet confection you can make with little trouble, that’s forgiving of any mistakes, that is so addictive, you won’t need much time at all to gobble up an entire sheet. I had already decided to make peppermint bark for Christmas gifts, but I was looking for a different recipe with a more impressive presentation. So when I saw Molly Wizenberg’s recipe from Orangette, I bookmarked it immediately. 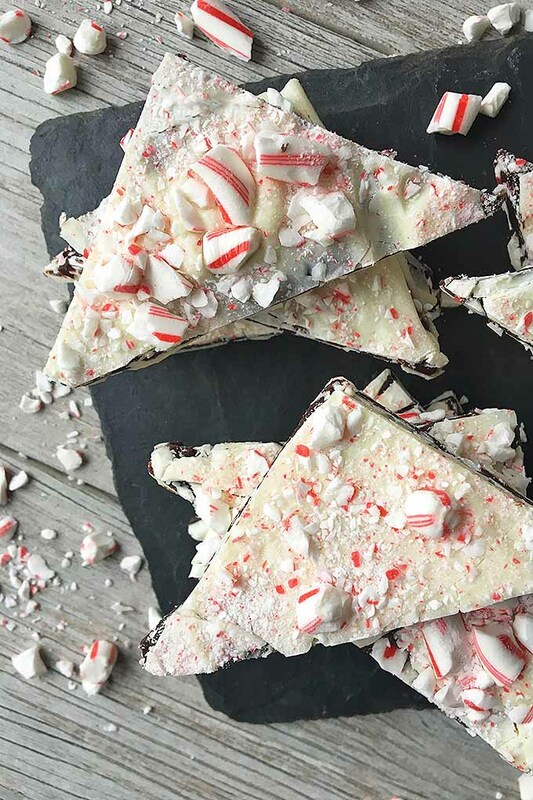 This is some good peppermint bark, people. It’s basically a present, with an unforgettable surprise inside: between the sweet layers of white chocolate, fudgy dark chocolate ganache happily resides in all its melt-in-your-mouth glory. And you don’t have to buy a ridiculously expensive premade version at your local gourmet food store. 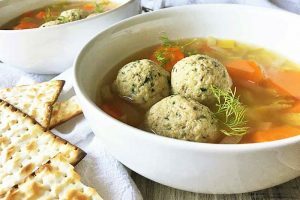 Make this delicious recipe now for your friends and family, and it will soon become an annual holiday go-to. 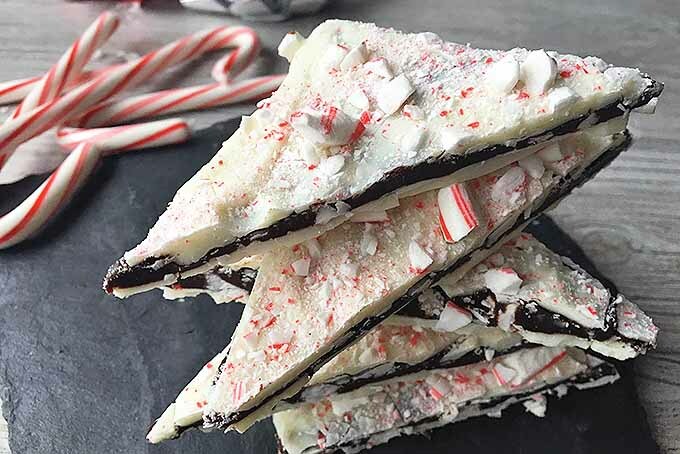 Our homemade peppermint bark has layers of white chocolate, a dark chocolate ganache center, and crunchy crumbles of peppermint candies. Turn a large baking sheet upside down. 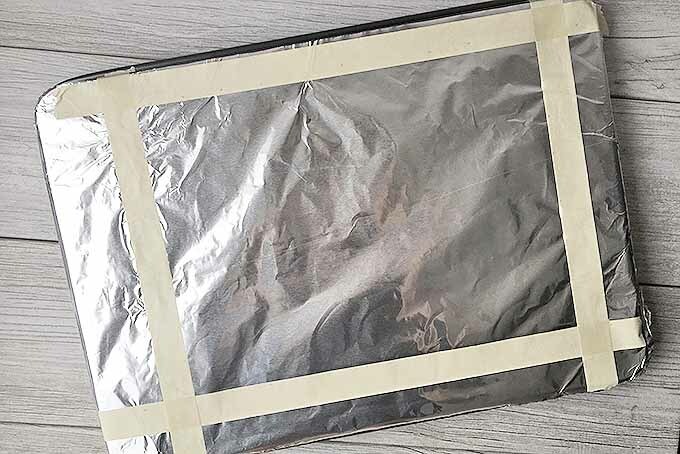 Cover securely with aluminum foil, folding excess tightly underneath. Measure and mark a 9×12-inch rectangle on the foil, using masking tape to visibly distinguish the area. 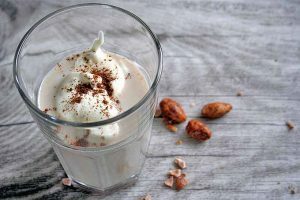 Melt half of the white chocolate (1 1/2 cups) in a double boiler or a heatproof bowl over a saucepan of barely simmering water, making sure the bowl does not touch the water. Stir occasionally until the chocolate is completely melted and smooth. Immediately remove the chocolate from the heat, and pour onto the rectangle on the foil. 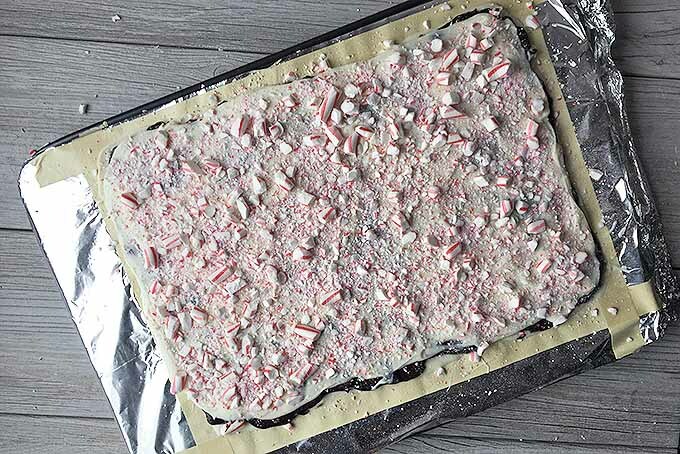 Using a small offset spatula, spread the chocolate evenly to fill the rectangle. 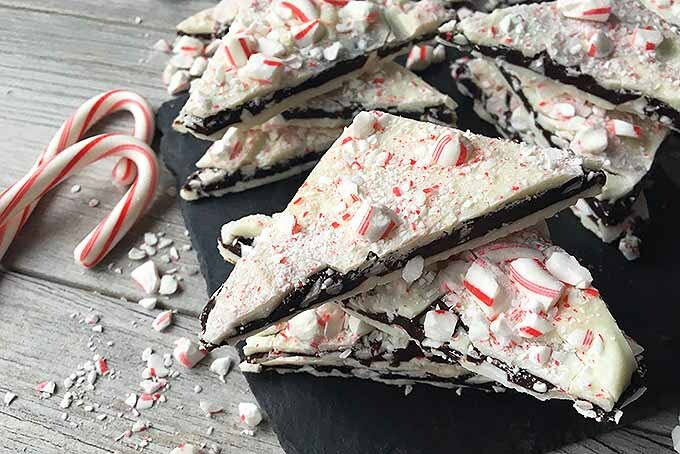 Sprinkle with 1/4 cup of the crushed peppermints. Chill until hardened, about 20 minutes. 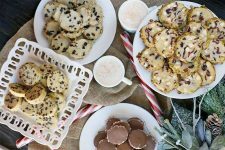 After the white chocolate has hardened, combine the dark chocolate, cream, and peppermint extract in a heavy medium saucepan. Warm over low heat, stirring frequently until the mixture is just melted and smooth. Immediately remove the chocolate and let it cool for just a few minutes before pouring it over the chilled white chocolate rectangle. Smooth and spread it evenly. Chill until very cold and hardened, about 30 minutes. In a clean heatproof bowl, heat the remaining 1 1/2 cups of white chocolate over a saucepan of barely simmering water until completely melted and smooth. Immediately remove from heat, and pour the white chocolate over the firm dark chocolate layer. Working quickly, use a clean offset spatula to spread it over the rectangle. Sprinkle with the remaining crushed peppermints. Chill until the entire rectangle is completely firm, at least 1 hour. 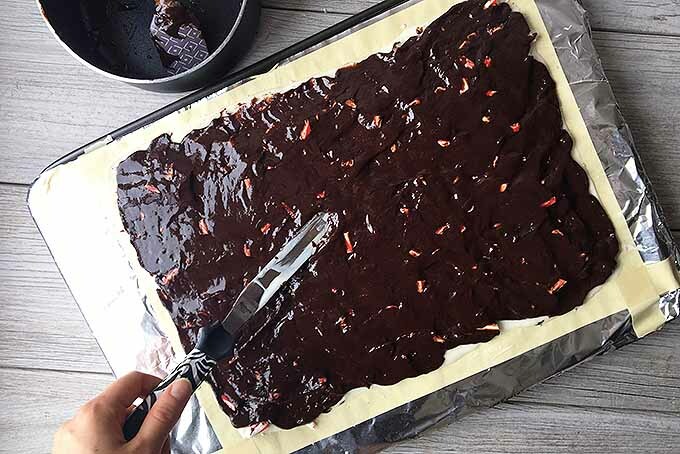 Once the bark is completely firm, carefully lift the foil from the baking sheet onto a large cutting board. Carefully peel and remove the foil from the bottom of the chocolate. With a sharp chef’s knife, trim away the ragged edges. Cut or break into pieces. Alternatively, make uniform triangles by cutting 4 columns and 3 rows of squares, then cutting each square diagonally in half. 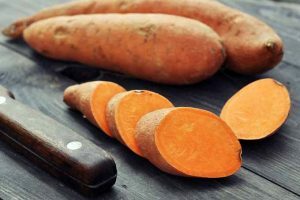 Serve immediately, or store in an airtight container in the refrigerator for up to 2 weeks. If layering, place a piece of parchment paper between each layer. Adapted from Molly Wizenberg at Orangette. 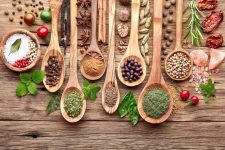 Gather and measure all ingredients needed for the recipe. Separate the white chips or pieces by half in different bowls. 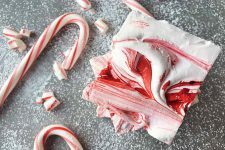 Crush the peppermint candies in a food processor or blender. You could also roughly chop them with a sharp knife and cutting board. Prep the baking sheet pan by turning it upside down and covering it securely with aluminum foil, folding the excess foil under the pan. Measure and mark a 9×12-inch rectangle on the foil, using masking tape to distinguish the area for better visibility. 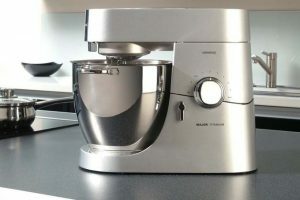 Put half of the white chocolate in a medium heatproof bowl and place over a smaller saucepan filled with a little water. Heat the saucepan, maintaining a low simmer with the water. Make sure the water does not touch the bottom of the bowl, so as not to overheat it. Melt the chocolate, stirring frequently, until just melted and smooth. Immediately remove from the heat and pour over the prepared foil. 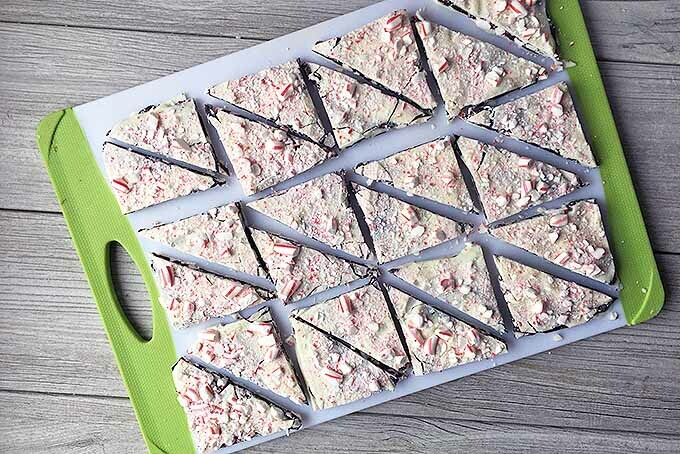 Spread it to fill the entire rectangle, using a small offset spatula. Sprinkle about 1/4 cup of the crushed peppermints on top. Chill uncovered in the refrigerator until completely solid, about 20 minutes. After the first layer is chilled completely, make the ganache layer. 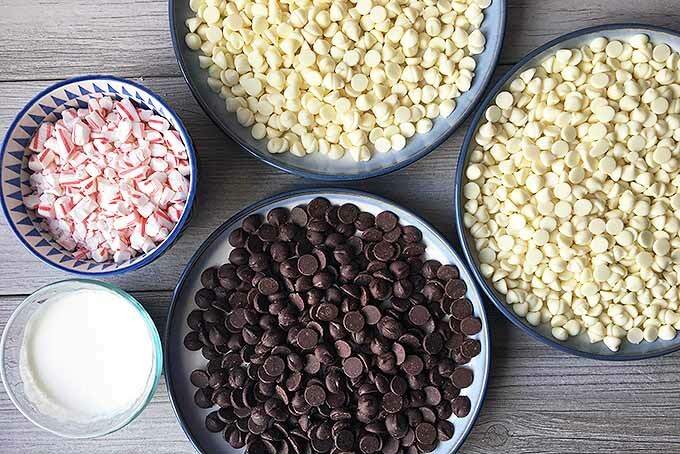 Combine the dark chocolate, cream, and peppermint extract in a heavy medium saucepan. Warm over low heat, stirring frequently until the mixture is just melted and smooth. Immediately remove it from the heat and let it cool for just a few minutes before pouring it over the chilled white chocolate rectangle. Smooth and spread it evenly. Chill until very cold and hardened, about 30 minutes. After the ganache has set, heat the remaining white chocolate using the same method as before, making sure to use a clean bowl. Stir frequently. 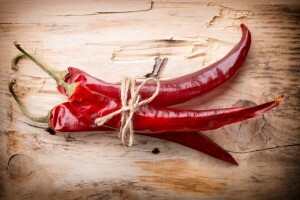 Once it has melted completely, immediately remove from the heat. Working quickly to avoid melting the ganache, pour and spread the white chocolate over it. Evenly sprinkle the remaining crushed candy on top. Chill the pan until completely cold and set. 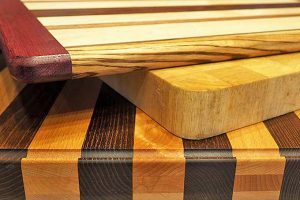 The bark is much easier to cut cleanly, with less breakage, when every layer has completely cooled and hardened. Let it chill for at least 1 hour – but the longer it has to chill, the better! 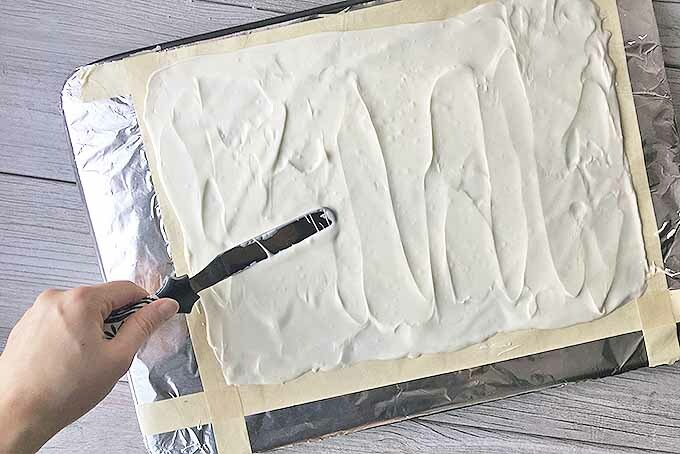 Once the bark is completely firm, lift the foil from the baking pan onto a large cutting board. Carefully peel and remove the foil from the bottom of the chocolate. It will peel off easily. With a sharp chef’s knife, trim away the ragged edges. Save these as your personal snacks – you earned them! You can break the bark into pieces. Or, for a more uniform look, make triangles by cutting 4 columns and 3 rows of squares, then cutting each square diagonally in half. 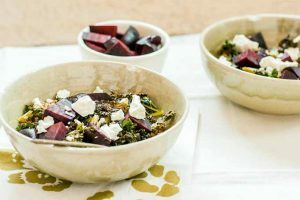 Serve immediately, or store for later in the refrigerator in an airtight container. 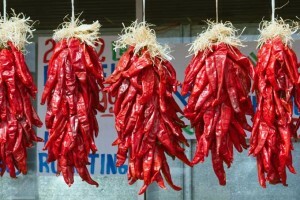 They will last for up to 2 weeks if stored properly. If you will be stacking the pieces, place parchment paper between each layer. 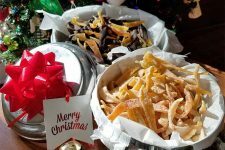 Maybe you celebrate with your own handful of similar Christmas memories like me, be they prompted by tree ornaments, roaring parties, or the annual family feast. 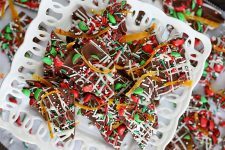 And if you’re also looking to create new traditions during the holidays, such as trying a new homemade festive candy to give as gifts, I hope you will welcome this recipe into your stack of the usual Christmas cookie recipes. Your friends and family (and there’s no shame in saying yourself, as well!) 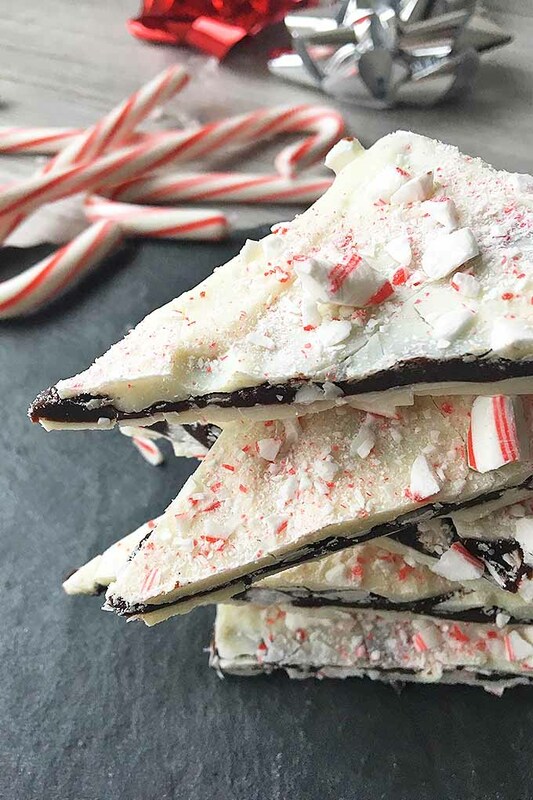 will enjoy the creamy layers of chocolate, and every crunchy bite of crushed peppermint candies sprinkled on top. So what about you? 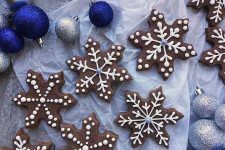 Do you have any favorite holiday traditions? Favorite candies? Let us know in the comments below. Photos by Nikki Cervone, © Ask the Experts, LLC. ALL RIGHTS RESERVED. See our TOS for more details. Originally published December 24th, 2008. Revised and updated October 24th, 2018, with additional writing and editing by Nikki Cervone. i’ve never made peppermint park. i might just have to give it a try! 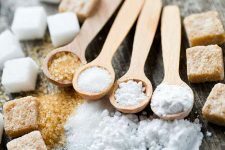 Came to you via Food Writer Group at LinkedIn. I think you’re doing a great job! Your writing is interesting, clever, and I feel like I know you already. Amy: You must! Let me know how you like it, OK? Elizabeth: Aw, you’re sweet. 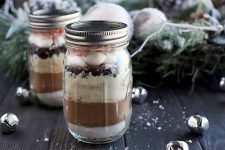 I have a couple links to photography articles online, saved in my delicious: http://delicious.com/Shannalee/food-photography…. and also, there was one in a photography magazine that a friend cut out and sent to me (can’t remember the magazine name!). Joan: Thank you so much! I’ll head over to check your site now! 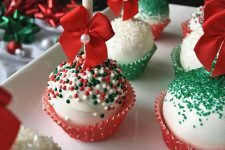 I wish I had seen this recipe around Christmas time, I love to eat this during the holidays! 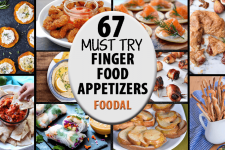 Great blog you have, lots of tasty looking recipes… Can’t wait to check everything out!